When Black Stone Cherry released their self-titled debut back in 2006, we all envisioned these guys as a new modern heavier version of Lynyrd Skynyrd. Their label at the time, Roadrunner Records, seemingly had a little different vision for the band as time marched on. The band was asked to collaborate with songwriters and the label was always pushing for the “radio hit”. Black Stone Cherry had several radio tunes that did very well, especially in Europe. So they certainly held up their end of the bargain, but the band just weren’t happy with the ways things were going. So given the chance to leave the label and their contract, the band eagerly signed on the dotted line. Don’t get me wrong here, the guys are proud of all of their albums, but the chance to jump ship and have total creative control was a no-brainer for them. Once released, the band landed at Mascot Label Group and given complete and total creative control. Finally, the band could create the records that they’ve always wanted to create. Their first release on Mascot was aptly titled, ‘Kentucky’. The band lives in Kentucky, loves Kentucky, recorded the album in Kentucky and never shys away from representing our Commonwealth. ‘Kentucky’ was also a return to their musical roots showcased on that first Roadrunner Release. Even going so far as to using fellow Kentuckian and producer David Barrick, who happened to also produce the self-titled album. ‘Kentucky’ was the album that many of us were waiting for, Black Stone Cherry included. The band has always teased us by playing classic blues tunes live and putting their own spin on them. So with their new found freedoms, the band followed up ‘Kentucky’ with an EP of nothing but reworked blues songs titled, ‘Black To Blues’. Fans and critics alike loved the release and the fact that Black Stone Cherry had finally fully embraced their musical foundations. That brings us to why we’re here, the band is about to drop another album. This one is titled, ‘Family Tree’ and the band has promised a fresh approach, so let’s discuss the results. The first thing you’re going to notice about ‘Family Tree’ is an overall shift in tempo. The album leans much more towards a true Southern rock album from a hard rock band rather than a metal band playing Southern songs. What does that mean, exactly? What that means is Black Stone Cherry has grown into the band we all knew they could and should be. You’re seeing a band in their prime that knows exactly who they are and what they want. The focus is on the riff, the groove and the harmonies. ‘Family Tree’, quite simply, is a damn good album that just feels right. There is nothing that feels forced. Nothing that feels out of place. It’s just a damn good rock ‘n’ roll record from beginning to the end. I felt that ‘Kentucky’ was by far and away their most complete album. I was wrong. That honor absolutely belongs to ‘Family Tree’. What changed my mind? Glad you asked. ‘Family Tree’ makes you want to move. It’s infectious. It forces you to tap your foot, bob your head and make a stank face during the solos. It feels like an album, that if it were released in the 1970’s, it would have won multiple Grammys. I’m not going to give my opinion on every track. You need to experience some of those for yourself. What I am going to do, is hit a few highlights and get you prepared for the beautiful ride that you’re about to experience. The first song on the album is also the first single, “Bad Habit”. This track sets the pace for the album and is a great glimpse into just how much booty shaking you’re in store for. If you’re reading this, you’ve likely seen their “Back To The Future” inspired video for “Bad Habit”, if not, smash that play button and enjoy! Actually, I want to take a second and point something out. Classic rock albums often followed a bit of a pattern. One that went something like this; Open the album wide open, keep a nice groove till the middle of the album where the centerpiece of the album takes…well, center stage. Which is usually a slower song or one with significant lyrical meaning. Then ya get back on the gas till the end, where ya end the album on a track that leaves you wanting more. By design or by default, I am pleased to say that ‘Family Tree’ also falls into this pattern. The boys absolutely kill it with “Bad Habit”, “Runnin'”, “New Kind Of Feeling” and “Carry Me On Down The Road” before settling into, what I feel is the centerpiece of the album, “My Last Breath”, in particular is very personal to vocalist Chris Robertson and it just feels like an instant classic song. The story, the flow, the emotions, the soulful solos, the churched-up ending…all create a song that I forsee being a setlist staple for many, many years. For comparisons sake, let’s try this; If Black Stone Cherry are the Lynyrd Skynyrd of today, then “My Last Breath” is their “Tuesday’s Gone”. Seriously. That is followed up by a song in a style that we’ve become accustomed to hearing on a Black Stone Cherry album, a country-tinged tune that’s been soaked in some Kentucky Bourbon. “Southern Fried Friday Night” is a talkbox snapshot of literally any small town in America. Diesel trucks, one redlight, drinking, boots and redneck attitude. Is it cliché? Yes, BUT it is also totally 100% accurate, so ya can’t argue with it too much. It really is the Country life. There are two guests on ‘Family Tree’. The first lends a few vocal lines, as well some tasty guitar work. “Dancin’ In The Rain” features Mr. Warren Haynes. Warren, of course, spent many years as a member of The Allman Brothers Band and also with his band, Gov’t Mule. There may not be a better match for a guest spot on a Black Stone Cherry record and the track is just as awesome as you’re currently dreaming about in your head. 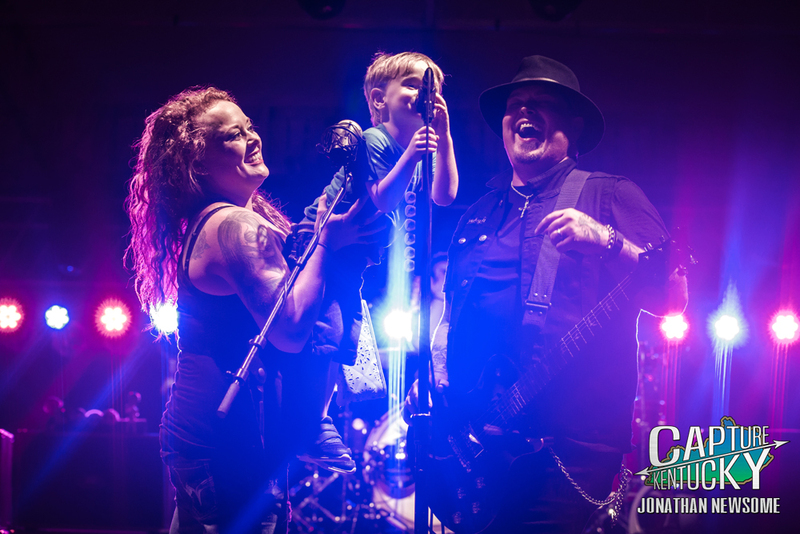 Never afraid to take chances, Black Stone Cherry steps out of their comfort zone to try something a little different with their “woohoo, woohoooos” that pays homage to the one and only “James Brown”. Completing the aformentioned album pattern of days of old, the band ends with the title track, “Family Tree”. A slow-churning groove-oriented track that does exactly as I mentioned earlier, it leaves me wanting more. The solos are soaring and your head will be bobbing and just like that, it’s time to start the ride all over again. And again. And again. And again…you get the picture. 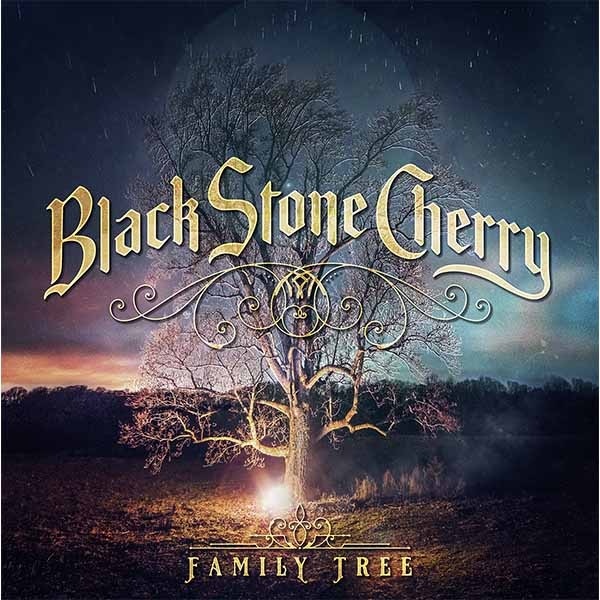 Let me simplify this for you, ‘Family Tree’ sounds like Foghat borrowed ZZ Top’s rig to play some Mountain songs that were co-written by Lynyrd Skynyrd and the Kentucky Headhunters, yet it is still undeniably Black Stone Cherry. I don’t know how you feel, but that sounds like one helluva “Southern Fried Friday Night” to me. As I often say, “Support the artists or lose the art.” Pick up a copy, or five, of ‘Family Tree’ and help keep these fellas creating one of the best soundtracks to our lives.